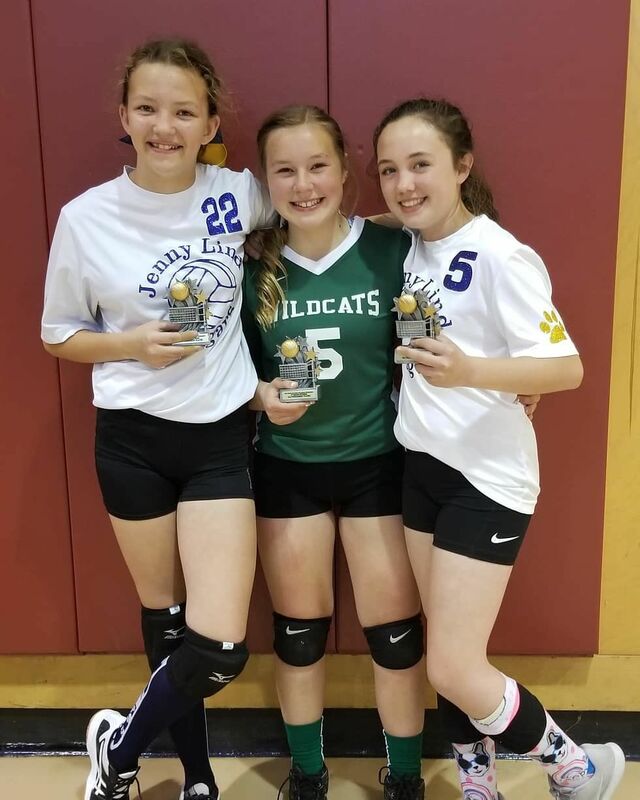 Sixth-grade all-tournament award winners, from left, Erika Allen of Jenny Lind, Brynn Gardina of San Andreas and Mariah Maddock of Jenny Lind. The Highway 4 corridor in Calaveras County is apparently turning into a hotbed for youth volleyball. 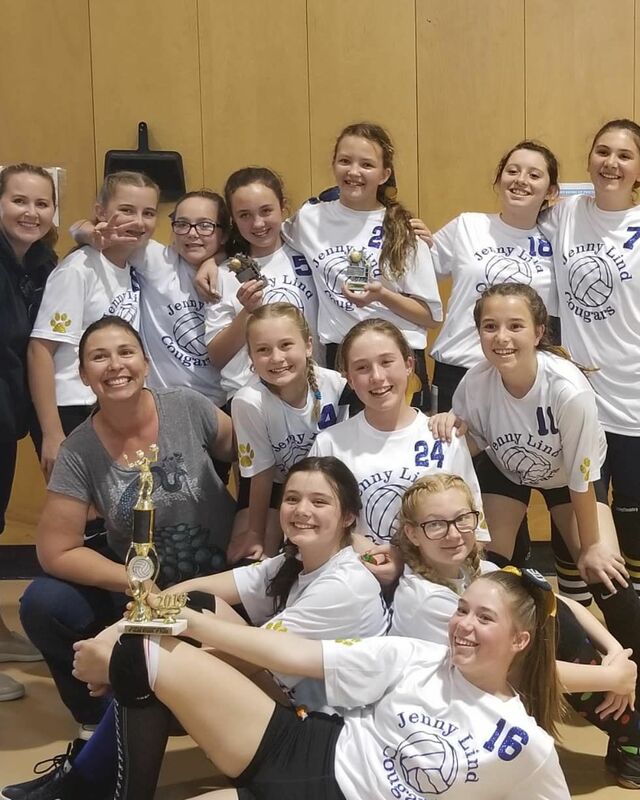 At the annual AMA Volleyball Tournament last week, Copperopolis Elementary School won the sixth-grade division, while Avery Middle School claimed the top spot in the seventh- and eighth-grade divisions. In the sixth-grade division, which was played at Avery Middle School, Copperopolis placed first out of 11 teams, defeating San Andreas in the finals. San Andreas placed second and Jenny Lind placed third. Riley Banks and Emerson Arbulich earned all-tournament for Copperopolis, along with Lizzy Gates and Brynn Gardina of San Andreas, and Erika Allen and Mariah Maddock of Jenny Lind. In the seventh-grade division, which was played at Mark Twain Elementary School in Angels Camp, Ione defeated Jackson in the opening round last Tuesday before falling to Avery in two sets in the semifinals. In the championship round on Thursday, Avery defeated Mark Twain 25-19, 25-15, while Toyon defeated Ione in the third-place game. Kaylee Ewing and Natalie Brothers of Toyon earned all-tournament honors for the seventh-grade division, along with Abby Molina and Meredith Grotto of Mark Twain, and Addy Sturm and Chase Silva of Avery. In the eighth-grade division, also played at Mark Twain, Jackson beat Ione in the opening round, but lost to Avery in the semifinals. In the finals, Avery bounced back from an opening-game loss to beat Toyon 19-25, 25-19, 15-11 for first place, while Mark Twain defeated Jackson in the third-place game. Kyra Saiers and Ali Strehl earned all-tournament honors for Toyon, along with Bella Stafford and Ashlin Arias of Mark Twain, and Avilla Pryor and Kenna Williams of Avery.